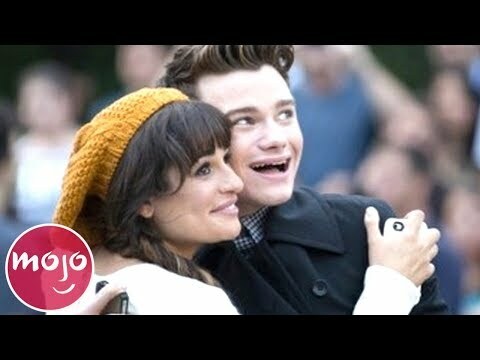 superiore, in alto 10 Glee Stars: Where Are They Now? preferito performance in "A Wedding"? la scelta dei fan: "Furt"!!! This is so exciting. Our first mostra choir competition. I know only a few weeks fa I didn’t have any friends. Mr Evans need us to do this mostra circle. Some of the Glee rumors that have been going around lately have been confirmed! I'm sorry i don't know the name of the fonte but she seems to be someone who read the script of episode 1 and 2. - i LOVED the way they wrote Kurt, especially in 6x01, i think it's the first time since season 3 that te can really see how crazy in Amore he is with Blaine. ciao everyone! Before I start, I would like to say, become a fan of me please! There are people saying that they want to live like the cast of Glee does on their show! I hear people asking how on earth can they live like them? In a musical life with drama that reminds te of celebrities. There is a way! I sorted everything out da the type of person. To the first articolo of Glee theorist. A series of theories that has character and storylines from glee, o other TV series and movies. With that said, let’s get started! Hot on the heels of the official announcement that Jennifer Lopez and Harry Connick Jr. will be joining Keith Urban on American Idol's judging panel for its 13th season, volpe has released the first foto of the judges in action. This is the beginning of a new part of the story of Glee/the hunger games. This is the part that tells the story about the rebellion that followed the precedente hunger games. Plus the Glee 75th hunger games with 100 tributes. This will be people from all kind of fandoms. They will be announced in one of the successivo weeks. successivo chapter will be about the tour and about Sara. There will be much più in this story! I hope te guys like it! a comment was made to the pop quiz question: Bad Reputation: After the "Run,Joey,Run" video is played, in what order do te see the guys' angry faces after the lights are turned back on? Which Vocal Adrenaline number was featured in the 2010 Glee Live tour along with "Rehab"?